We are offering our clients exclusive discounts on their corporate coach hire and corporate minibus hire enquiries. Call us on 0800 112 3770 or email [email protected] to find out our exclusive rates on our corporate event transport. If you’re in the midst of organising a corporate event you’ve come to the right place. Here at Bouden Coach Travel we are a full travel management company, we can help with all aspects of corporate hospitality, in fact its what we specialise in! 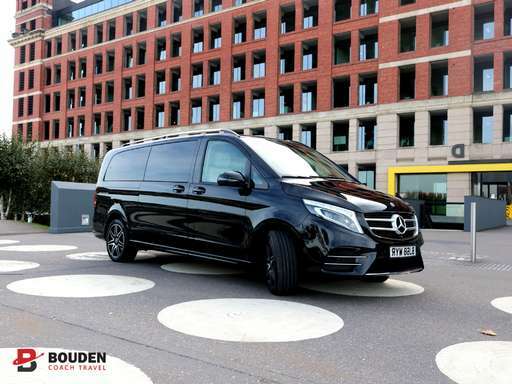 When using Bouden Coach Travel you can be sure that you will receive only the best in corporate event coach hire and corporate event minibus hire, we have vehicles of all sizes on hand to cater to your clients effectively. Our vehicles sizes include: chauffeured cars, 6 seat MPV’s, 8 seat MPV’s, 16 seat minibuses, 19 seat minibuses, 24 seat midi coaches, 33 seat midi coaches, 49 seat coaches, 52 seat coaches, 57 seat coaches and 61 seat coaches. These corporate transport vehicles are also available in standard, executive and luxury classes. If you’re looking to impress with your event coach hire, event minibus hire or event car service we always recommend our executive coaches, executive minibuses as well as our top of the range luxury coaches and luxury minibuses. Email our sales team on [email protected] with your corporate event coach hire and corporate event minibus hire requirements. A member of our professional team will get back to you with our exclusive rates within the hour. We are proud to say that we have clients return year in and year out for their corporate hospitality coach hire and corporate hospitality minibus hire. We offer only the best in business travel, picking your delegates up from your desired location and transport them in style to your event. Our corporate event coach hire and corporate event minibus hire is great for companies looking to transport their employees both to and from the event. No matter how big your group of passengers may be here at Bouden Coach Travel it would be our pleasure to provide our event coach hire and event minibus hire services. CLICK HERE to get an online quotation for your corporate event coach hire and corporate event minibus hire.